Getting ready to welcome your students into a new school year? This is a quick and easy way to help your students get to know one another. 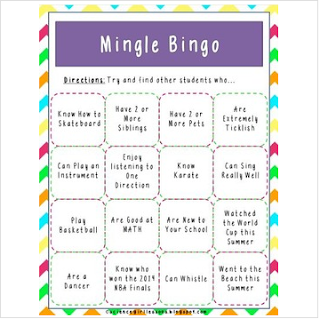 Similar to the BINGO Game, your students will try and either get 4 in a row or go for the blackout!